This will show the results for breast augmentation with 371cc for patient C (breast implant). This is additional information for the post 'Breast Augmentation with 371cc Breast Implants.' In that blog I discussed and showed four different breast augmentation performed using the same Natrelle Style-15 silicone gel filled breast implants. Breast implants come in many size, shape, type, and volume. I select the appropriate implant volume based on your desired goal size and then select the best implant that will maximize your results. Most of my patients want a natural appearing breasts with good cleavage and projection. They prefer not to have overly large and wide appearing breasts. Breast augmentation with 371cc for patient c: She is 5'3" and weighs 115 lbs. 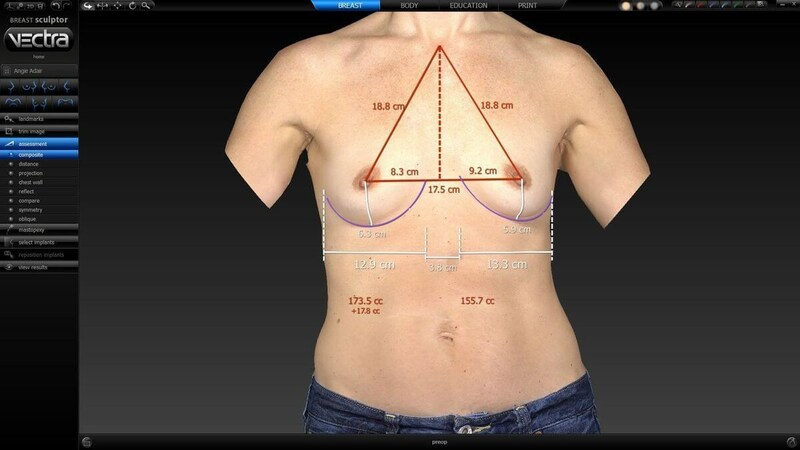 Her breast assessment with the Vectra Imaging System show small asymmetry. 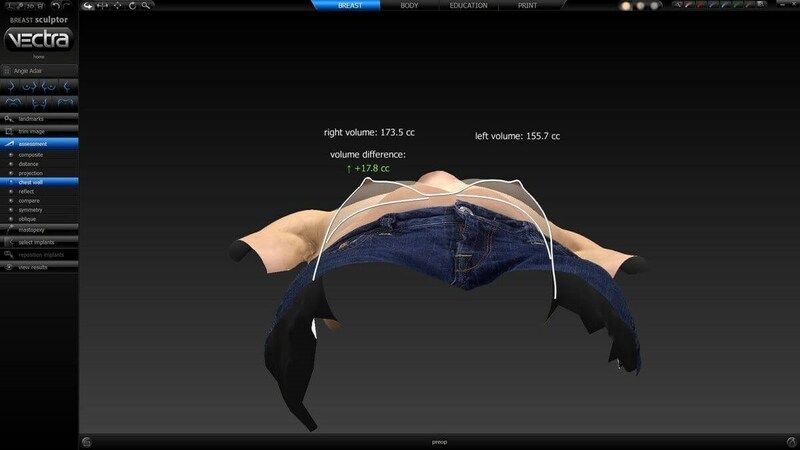 Her base width is wider on her left but her apparent breast volume is greater on her right. This small difference is inconsequential. Like many women seeking breast augmentation, she lacks upper pole fullness. Silicone gel breast implants are ideal for providing ample fullness in the upper pole. She wanted to be a full C-cup.